As soon as the weather breaks free from its Winter shell into the azur blue of Springtime, flowers both from the blossom of the fruit trees in the garden and those that carpet the fields, fill our view every day. 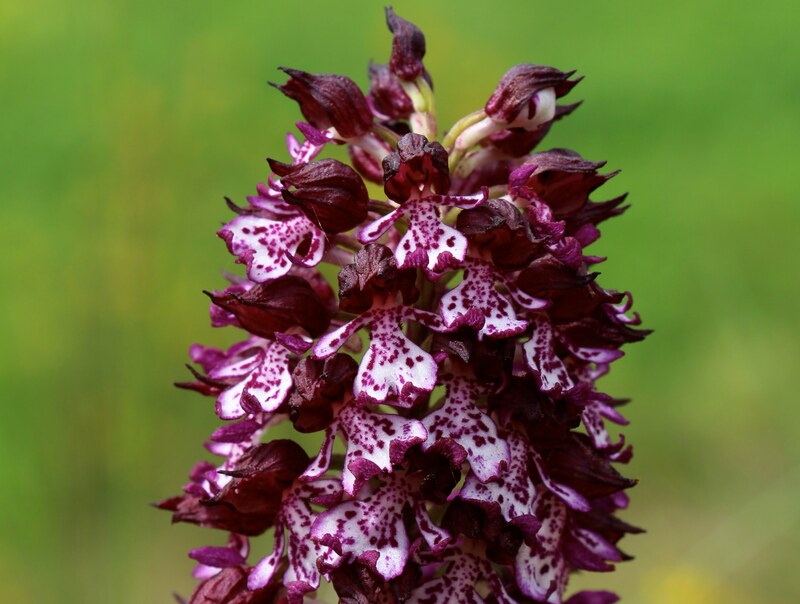 The proportion of countryside in comparison to urban areas within the Lot region is so high, that due to the incredible clarity of the air quality, the surrounding woodlands (and especially our valley) are carpeted with several varieties of wild Orchids. In fact, the Lot is famed for its wealth of Orchids, so much so that many naturalists are drawn to this area to observe and record these Spring wonders. The true spectacle of these flowers are fully appreciated when magnified ! Their intricacy and structures that bestow them such names as Bee Orchid, Lesser Butterfly Orchid and Small Tongue Orchid are well deserved ! So whether you take a walk through the countryside to search for or simply just to enjoy the presence of these stunning flower that just seems to thrust their unadulterated beauty upon you, take a moment to reflect on why they are here… because airborne pollution is not a feature of this region !